Health Access San Antonio (HASA), a non-profit, community Health Information Exchange operating across Bexar County and the 21 surrounding counties in Texas, and IMAT Solutions, a leader in healthcare data search and reporting, announced today that HASA will implement IMAT across its major hospital systems, rural hospitals, independent clinics, and labs. IMAT Solutions’ IMAT Data Warehouse, IMAT Clinical Reports, and IMAT Medical Analytics modules will facilitate full content data aggregation, normalization code mapping, analysis, and reporting from across all data stores to help HASA deliver care improvements and cost reductions. 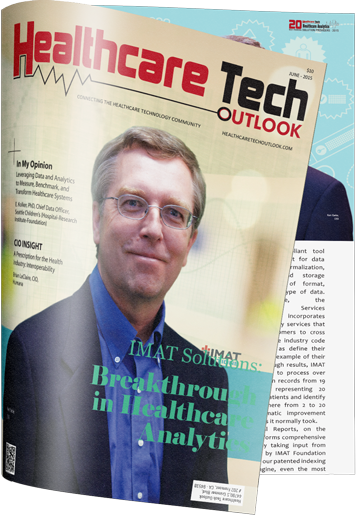 IMAT is designed to help health care institutions aggregate, normalize, and store ALL data, including untapped, unstructured data, generated throughout the healthcare system. This data includes the massive quantities of clinical data coming from EHRs, labs, transcription data, radiology notes, ADT’s and more. IMAT reduces the time it takes to analyze this clinical data to seconds as opposed to days, weeks, or even months. HASA expects the solution will help it reveal actionable information stored inside multiple applications that can help improve clinical outcomes, increase efficiencies, and enhance patient satisfaction.